"Ten cents, ten million dollars, it just doesn't matter when a man's time comes." Mario J. Novoa is a professional film director and producer who resides in Los Angeles, California. Mario began his art education at Glendale, CA, John Marshall Elementary School in the school choir and clarinetist in the school orchestra. He pursued theater and television production at Vitor Valley High School in Victorville, CA. Under the direction of Kris Woerpel Hoveland, Mario began working as an assistant director, where he learned the art of stage direction, production management and acting. Some of his productions included: "I Hate Hamlet", "Runaways", "Voices from the High School" and assisted in the production of "Les Miserables". Mario was also the first president of the school's drama club where he was awarded a scholarship to summer program, UCLA Media Workshops. He furthered his technical and financial education at Victor Valley High School's San Bernardino Regional Occupational Program (R.O.P. ): "Odyssey Instructional Television" and "Banking and Finance". Under the direction of Marc Bossi, Mario learned the craft of news broadcast writing, directing guest interviews (on location and in studio), technical directing, camera operation, production sound mixing and production management. Odyssey Television became the flagship program for Channel One News. Students broadcast live and taped television programs from a mulit-million dollar television studio on the VVHS campus. Programing was also broadcast live to several CA High Desert communities. Taking full of advantage of working with actors and learning the technical craft of television production, he was hooked and devoted to his passion. Between 1996-1999, Mario J. Novoa furthered his education at Victor Valley College and Santa Monica College. Always pursuing his passion for filmmaking, Mario pursued interests in film history, psychology and student government. In 1999, Mario was awarded the opportunity to further learn the process of filmmaking through FILM INDEPENDENT'S "PROJECT: INVOLVE", a diversity mentoring program managed by Pamela Tom, Lorette Bayle and now A.M.P.AS. CEO, Dawn Hudson. Mario attended workshops by screenwriter Joseph Stefano(Psycho), film editor Zach Staenberg (The Matrix trilogy) and executive producer Mark Ordesky ( The Lord of the Rings trilogy). Miguel Arteta (American Horror Story, The Office, Ugly Betty) mentored Mario through the length of the six month program. Miguel shared his philosophy and insight into filmmaking, also inviting Mario to the set of his production of NBC's Freaks and Geeks. FILM INDEPENDENT awarded Mario Novoa the BARBARA BOYLE SCHOLARSHIP to attend the Producing Program at THE LOS ANGELES FILM SCHOOL. There he further developed his directing, producing and marketing skills. During his time at L.A.F.S Mario produced five short films, two of which won an industry award. Mario produced his work on various groundbreaking digital cameras, 35mm film, high definition cameras and learning the art of editing on Avid. Mario's first internship while at school was with film director Gregory Nava (Selena, My Family) at EL NORTE PRODUCTIONS. Shortly after graduation, Mario started his production company that produced event videography, local broadcast TV commercials and segments for nationally syndicated TV shows like THE MONTEL WILLIAMS SHOW. Mario's professional development during this period included copy writing, graphic design, managing client relationships. Mario has produced and directed dynamic ad campaigns for The Hollywood Chamber of Commerce, Cedar Sinai Hospital, The W Hotel Hollywood, MOFILM UK, The Hollywood Business Owners Alliance. He also produced the feature film The Miracle of Tony Davis, feature documentary Gay Latino Los Angeles: Coming of Age, short play The Baby Cries. In late 2013, Mario conceptualized two marketing campaigns for The Reel Studio and ELEVATION TV. In 2012, Mario J. Novoa developed "Film Bliss Studios" a film production company focused on producing diverse stories featuring people of color and the LGBT community. Mario J. Novoa's The Baby Cries is currently being edited as an original comedy web/docu series. 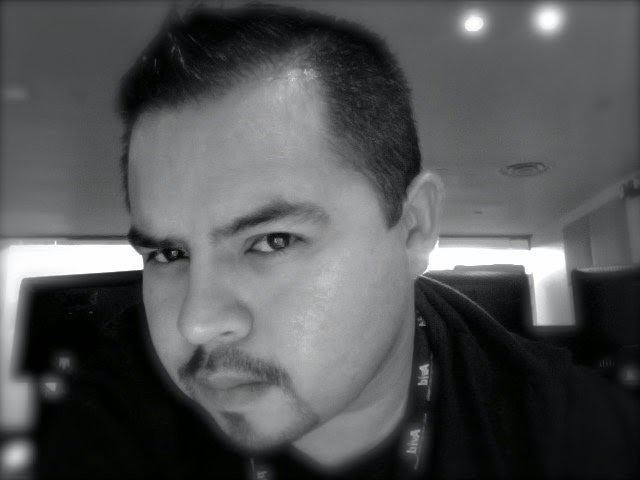 Since 2012, Mario produced features, short and documentary films "LA: A Queer History", "Nelly Queen: The Life and Times of Jose Sarria", "The Miracle of Tony Davis", "Nancy From Eastside Clover" (award winning doc), "ALC", "TRONA", "Ay Jose! ", and "City of Mass Incarceration" (doc), "Jeanne Cordova", "An Odyssey" and "Game Day". Mario J. Novoa received a Producing degree from The Los Angeles Film School in 2000 and Bachelor of Science degree in Internet Marketing from Full Sail University in 2013. Film Directing allows me tell a story with a bunch of other storytellers - cinematographers, sound mixers, production designers, line producers, creative producer, etc. Directing has been a devotion for me as I have studied techniques from various masters and have put them into practice, time and time again. I love conceptualizing a story and writing the script. Taking the script and bringing a team together to engage them in the best ideas and scenarios they can come up to shoot a movie! Working with actors is the best. Getting into their own psychology and the character's motivation is a fascinating experience to witness. The energy and will is transferred to the screen by these wonderful souls. In 2000 my film, "Goodbye My Love" won a Best in Story Award. I've produced ten shorts and three feature films. Working with a number of directors have given a great perspective on creative producing and making sure that directors arrive close to their intended vision. I've edited film and video since the "year 2000". Avid Media Composer, Adobe Premier, iMovie, Final Cut Pro 7 and FCP X are just some of the tools I've used for "picture editing". Part of my work also includes working with sound editing programs; such as, ProTools, Soundtrack, Adobe Audtion, etc. The most challenging of all in this process is tearing the story to shreds and putting back together to tell the best story possible. While this sounds simple, it is a time intensive period, full of discovery and joy. Mario Jose Novoa, ha producido y dirigido campañas publicitarias de la Cámara de Comercio de Hollywood, Hospital Cedar Sinaí, El Hotel W Hollywood, MOFILM en el Reino Unido. También produjo la película "El milagro de Tony Davis", documental "Gay Latino de Los Ángeles: Coming of Age", juego corto "The Baby Cries". A finales de 2013, Mario conceptualiza dos campañas de marketing para el rollo de estudio, "Elevación TV." En 2012, Mario J. Novoa comenzó una nueva empresa de marketing y producción llamado "Film Bliss Studios". Film Bliss Studios produce diversas historias protagonizadas por personas de color y de la comunidad LGBT. Mario produjo características, cortometrajes y documentales "LA: A Queer History", "Nelly Queen: La vida y obra de José Sarria", "The Miracle of Tony Davis", "Nancy de Eastside Clover" (premiado doc ), "TRONA", "Ay José! ", y "Adelanto: Ciudad de encarcelación" (documental), "Jeanne Córdoba", y "Odyssey." Mario J. Novoa recibió un grado de productores de la Los Angeles Film School en 2000 y Licenciado en Ciencias de Internet Marketing de Full Sail University en 2013.